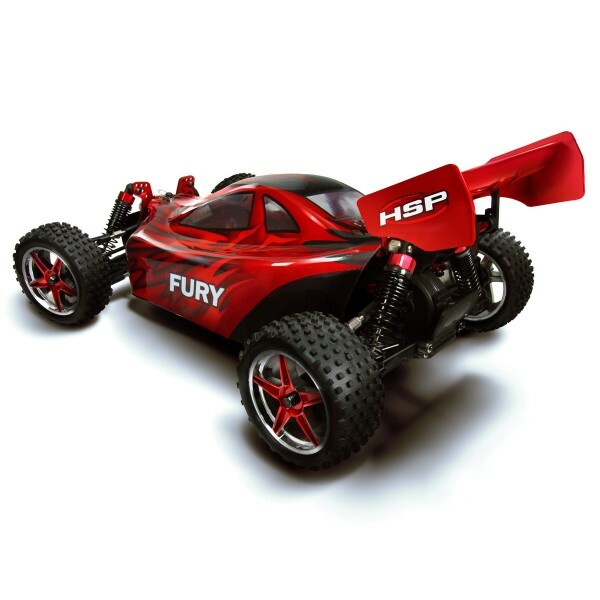 The Fury is specifically designed by Hobby Warehouse and is not available from any other HSP dealer . With its striking red cover that is highlighted by metallic ghost flames, matching red wing and color coded red aluminium parts that perfectly compliment the red accent on the centers of the bright chrome wheels, this buggy performs as good as it looks. We also hit the HSP upgrade parts list and added an upgraded shock front tower that is manufactured from a much thicker and stronger grade of aluminium than previous models. The heavy duty construction of this component helps by keeping the shock absorbers aligned to to the correct geometry to provide maximum reaction over harsh terrain. All 4 shock absorbers on the standard HSP models are adjustable and allow the operator to dial in the suspension to suit the type of terrain they want to operate on. 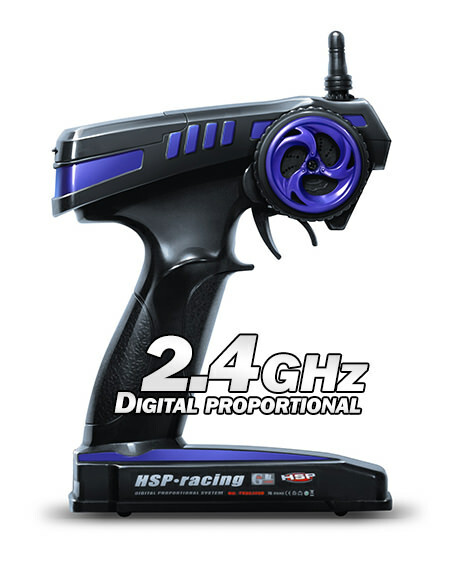 HSP have a unique "c shaped clip" that fits around the shock body just above the spring giving 2 different suspension adjustment settings. Fit this "c clip" to the shock and you can apply more pre-load to the spring for a firmer rate when running on a smooth surface to reduce body roll or take the clip out for a softer rate when running on rugged off road environments where you need all the suspension travel you can get. Rear wheel camber is adjustable along with front wheel camber and toe in - toe out also being fully adjustable via a simple turnbuckle system on the steering arms. Your sure to find the set-up that is right for just about any operating surface. 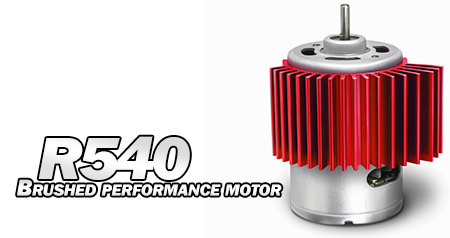 Motivation for the Vortex comes from a powerful Brushed 540 motor. The motor is fitted with a metal gear which provides its power to a special nylon main gear that then transfers power to the front and rear differentials giving power to each corner of the vehicle. 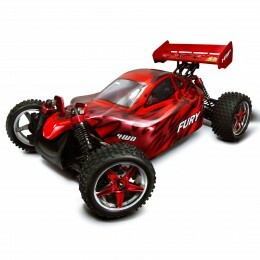 The 4 wheel drive system provides spirited performance for the novice through to the expert RC driver. To help with additional cooling duties the motor is fitted with a color coded finned aluminium heat sink to help dissipate heat away from the motor and keep it running at optimum performance levels even in the harshest off-road conditions. 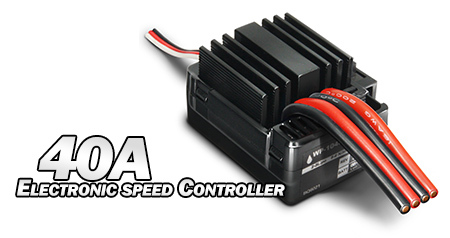 The 40A Electronic Speed Controller supplies current to the motor and on-board electronics with authority. Providing proportional forward and reverse acceleration along with correctly matched brake force, this ESC generates smooth and reliable operation. 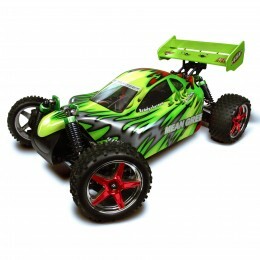 The supplied powerful 7.2V 2000mAh Ni-MH Battery feeds this beast with as much current as the Motor and ESC will ever need to generate spirited driving performance together with realistic operational times. 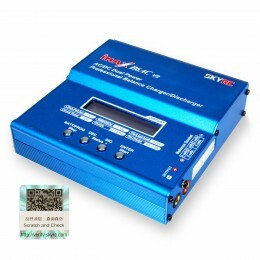 An Australian Mains battery charger is also supplied to get you just about up and running out of the box. The "Fury" is supplied with a quality HSP 2.4GHz digital radio transmitter which means you can run other vehicles utilizing the same system without interference at the same time. This HSP standard size 1/10 buggy comes as a complete package, including an ESC, 2.4GHz radio system, 4 wheel drive system, high torque Brushed motor, aluminium upper deck chassis, aluminum drive shaft and shock mount, oil-filled shock absorbers with progressive springs, 7.2V 2000mAh Ni-MH battery with battery charger. 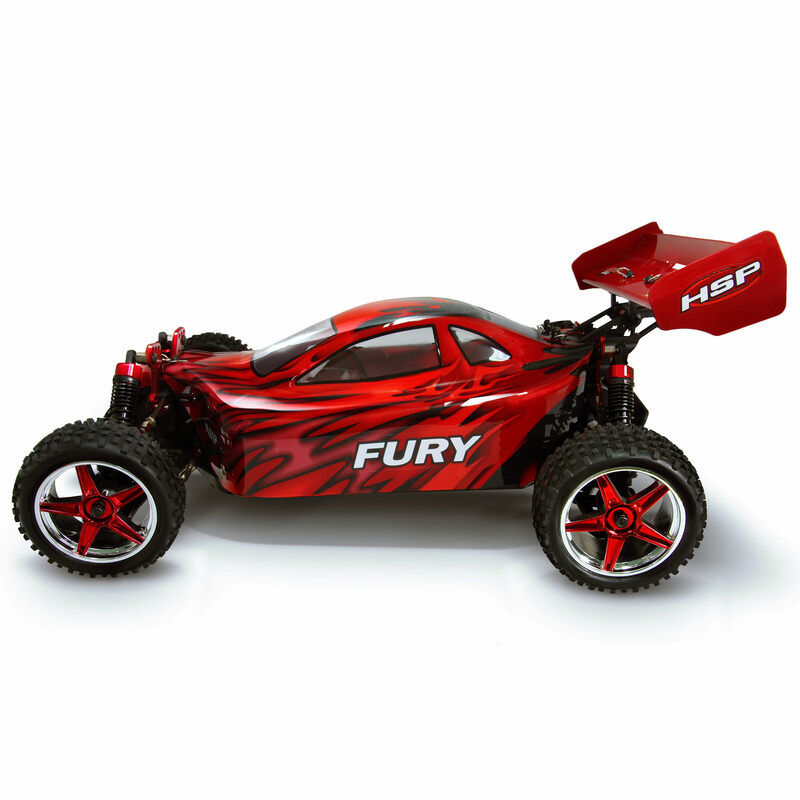 The only extra items required to get this beast on the track are 8 x AA batteries for the transmitter and your ready to rip up your favorite patch of dirt. High precision motor RC 540 and Waterproof ESC. 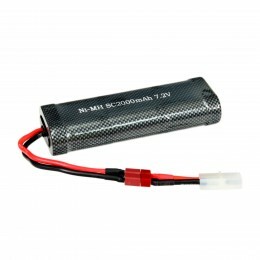 Rechargeable battery type: 7.2v 2000mAh.